Usain Bolt has won a record-equalling fourth Laureus award and received his ‘Sportsman of the Year’ trophy in Monaco on Tuesday (February 14). The Jamaican sprint star won a further three Olympic gold medals in Rio last summer, with his 100m, 200m and 4x100m titles then completing an Olympic ‘triple triple’, but he has since had to hand back his 2008 relay gold after team-mate Nesta Carter tested positive for a banned substance following reanalysis of his samples. After winning previously in 2009, 2010 and 2013, world record-holder Bolt joins other sporting greats Roger Federer, Serena Williams and Kelly Slater as a four-time Laureus award winner. 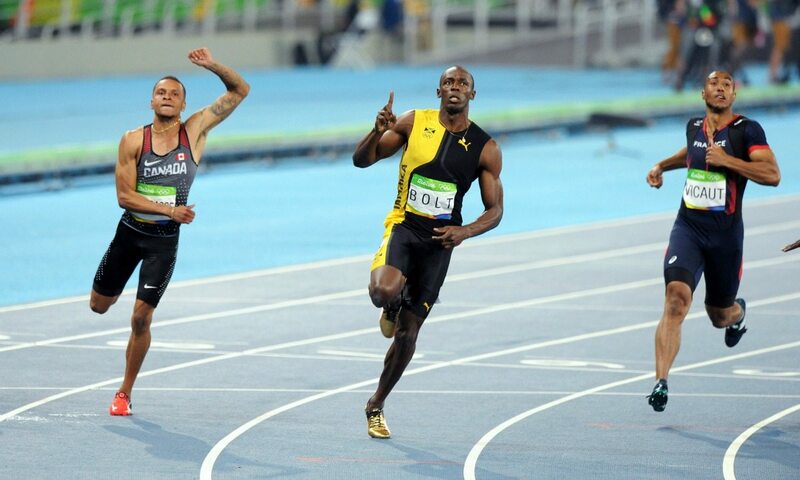 “First of all, I would love to thank the academy for this wonderful award,” said Bolt. “I thank everybody who voted for me. It’s been a rough season for me this year, and just throughout my career, it’s been ups and downs. Bolt was the sole award winner from the sport of athletics, with a total of nine track and field athletes having been named among the nominees across the range of awards categories. Britain’s four-time Olympic gold medallist Mo Farah had also been nominated for the Sportsman of the Year award, while Jamaica’s double Olympic sprint champion Elaine Thompson and USA’s three-time Rio Olympic medallist Allyson Felix were nominated for the Laureus World Sportswoman of the Year award, which was won by American gymnast Simone Biles. The nominations were compiled following a ballot by the world’s media, with the winners voted for by members of the Laureus World Sports Academy.